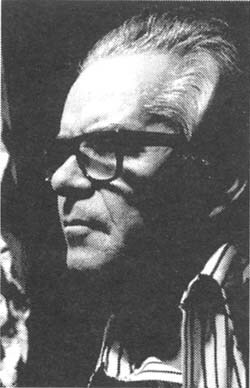 Aleksandras Marčiulionis was born in 1911 in Lithuania. He studied at the Kaunas School of Art, graduating in 1936, and from 1938 to 1944 taught drawing and decorative arts at the School of Applied Arts in Kaunas. His teachers were Juozas Zikaras and Juozas Mikėnas. The students first had to learn how to draw and only then were introduced to the special disciplines of their choice. 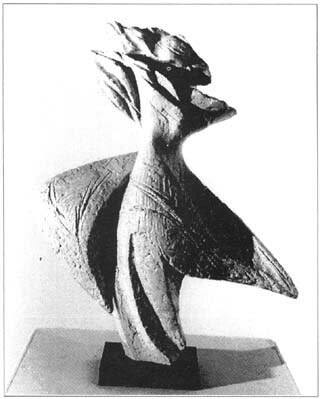 Marčiulionis picked sculpture and stayed with it all his life. He liked the monumentality of granite, stone, bronze. But he also indulged in watercolors and drawing. After World War II he lived in Germany and was one of the organizers of the École des Arts et Métiers, an art school for displaced persons in Freiburg. 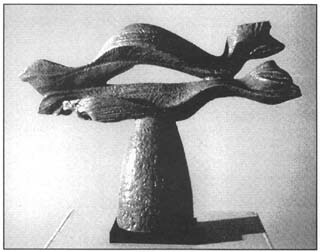 From 1946 to 1949 he chaired the school's department of sculpture and taught drawing. In 1949 he immigrated to Australia, settling in Adelaide. There he joined a Lithuanian theatrical group. During the following years he created ten stage sets, and participated in various group exhibitions with his sculptures and watercolors. In 1956 he came to the United States, settling in Chicago. Here he earned his living producing decorative ornamentation and sculptures for large firms and churches while creating his own art in his spare time. 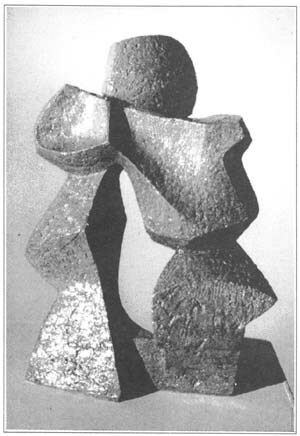 Marčiulionis exhibited his work in galleries in the Chicago area, and in 1962 his work was accepted for the prestigious Chicago and Vicinity Show sponsored by the Art Institute of Chicago. 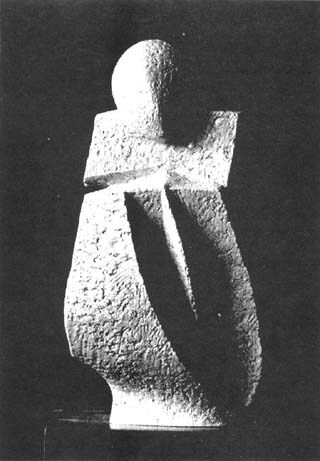 Most of Marčiulionis' sculptures are figurative; some are abstract. Critics have noticed the predominantly meditative facial features of the figures. Here the artist follows the longstanding tradition of Lithuanian sculptors, both folk artisans and schooled ones. The melancholic facial expression is almost a trademark in the sculptural representation of Christ by Lithuanian artists, who have probably been influenced by the traditional symbol of the Lithuanian folk figure, the Pensive Christ, who always wears a crown of thorns, supports his head with his right arm, and appears sad. In other works Marčiulionis bypasses the visual elements of human misery by creating the free-flowing, happy forms of his abstract pieces. 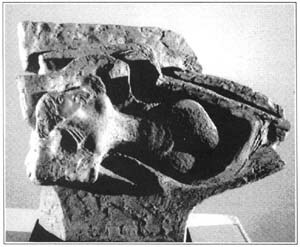 Some of his solid-stone creations seem to defy the laws of gravity and appear winged, light, and joyous. 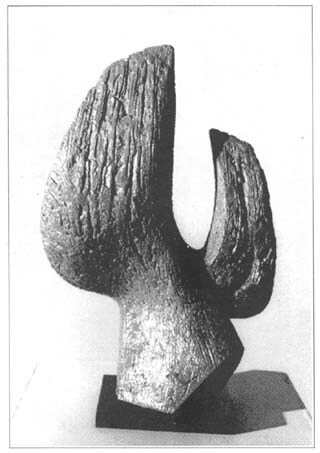 Marčiulionis' work gives evidence of a solid grounding in the sculptural tradition of the schools of the West and such masters as Rodin, Maillol, the Renaissance artists. The main features of Marčiulionis' style seem to be moderation in stylistic embellishments, simplicity of form, inner movement, contemplative expressions. Aleksandras Marčiulionis died in 1998 in Chicago. A monograph of his works is being prepared by Galerija Press, publisher of Lithuanian art books. 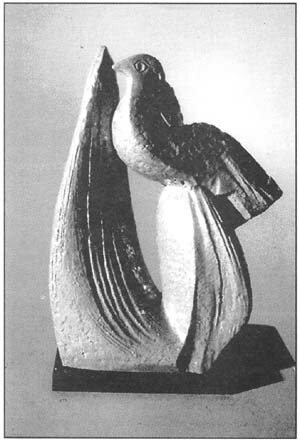 Birth of Eve #2,1972, clay and glaze, 11" x14"